Many people will say, when the notice someone for the first time, they see the eyes. The eyes are often an area that ages first and can age quickly, giving way to the appearances of sadness, droopiness, puffiness and hollowness. Although permanent eyeliner makeup cannot repair aging eyes by taking away excess skin or wrinkles, it can improve the appearance of the eye. Permanent eyeliner makeup placed near your lash line and around your lashes can make your eyes look brighter, younger and more expressive. Several different types of approaches can be used for lining the eye: a straight and solid line on the upper and/or lower lid and lash line enhancement. The thicker the color, the more it looks like applied eyeliner. Lash enhancement and permanent eye liner are different degrees of the same process. Results will last for 18-36 months. Avoid sun and tanning two weeks prior to procedure. Do not take Niacin, Vitamin E or Ibuprofen 24 hours before procedure. Try to avoid aspirin products for 7 days prior. 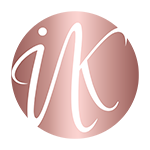 Ink Beauty Bar has been helping women enhance their natural beauty since 2016. We have two boutique studios servicing the both Northern Virginia and Chicago. Our primary specialties are permanent makeup services including microblading, brows, eyeliner and lips. Other exclusive services include lash lifts, spray tanning and full body & facial waxing with a specialty in brows.